There are plenty of ice cream and frozen yogurt brands out there, but there’s a reason Menchie’s is the largest self-serve frozen yogurt franchise in the world, and it’s because we create a great atmosphere and experience for our guests, the kind that keeps them coming back to share that experience with their friends and family. That love for Menchie’s generates repeat business that can really pay off for our franchise owners. 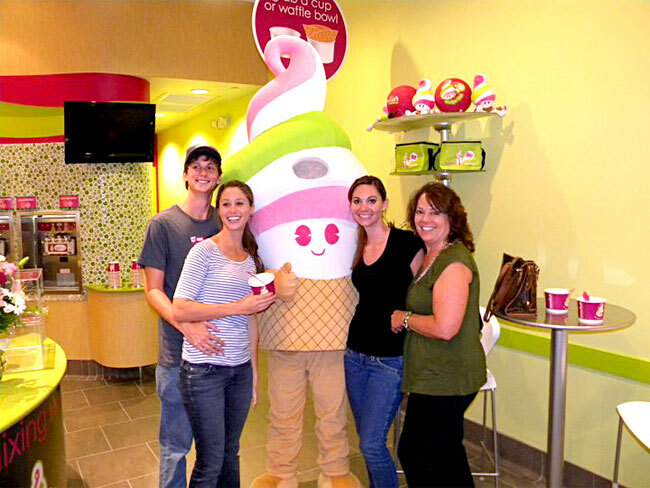 Happy guests come back for more and spread word-of-mouth about the experience they had at our frozen yogurt brand. The best way to build a successful business is through earning repeat business from loyal, dedicated guests. Marketing studies consistently show that it is far easier and less expensive to encourage an existing guest to return than to attract a new guest. The Menchie’s operating system is designed to create an outstanding guest experience that creates brand fans and repeat guests. Menchie’s has an inviting atmosphere, over 100 rotating flavors of our Private Label Collection yogurt, 80-plus rotating toppings, limited-time offers tied in with popular movies and snack brands, a focus on community involvement, and friendly service that encourages new guests to try us out. 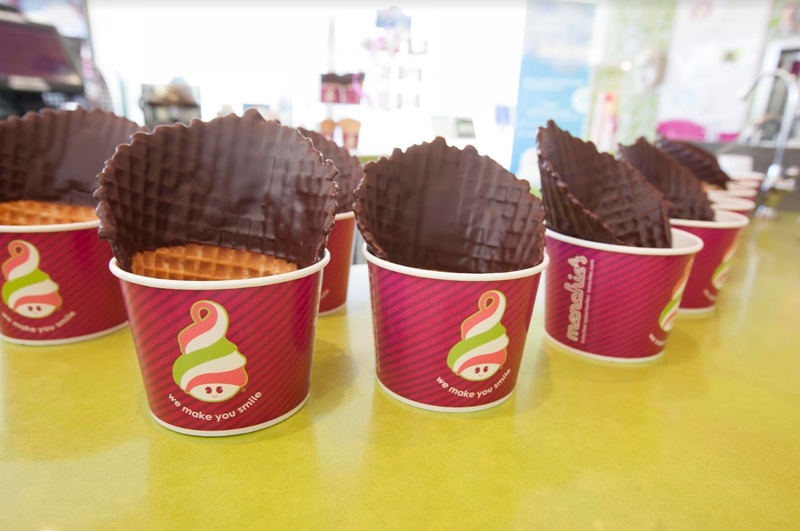 Our big cups, self-serve model and huge selection of flavors and toppings encourages guests to indulge. Because there’s always at least one flavor, topping or combination guests haven’t tried, they’ll come back again. Our guests come in with a smile on their face. As long as you help them leave with a smile on their face and a better mood than when they came in, they’ll keep coming back. Others serve frozen yogurt or ice cream. We serve smiles. Guests can buy ice cream and yogurt anywhere. But where can they go to smile? When guests come to Menchie’s, they’re not just eating a delicious frozen treat; they’re making memories with friends and family. If you’re interested in learning more about our frozen yogurt brand, just fill out the contact form on this page. It does not obligate you in any way. We invite you to explore our research pages to learn more about Menchie’s in the meantime, and you can also download the free franchise report. We look forward to hearing from you!